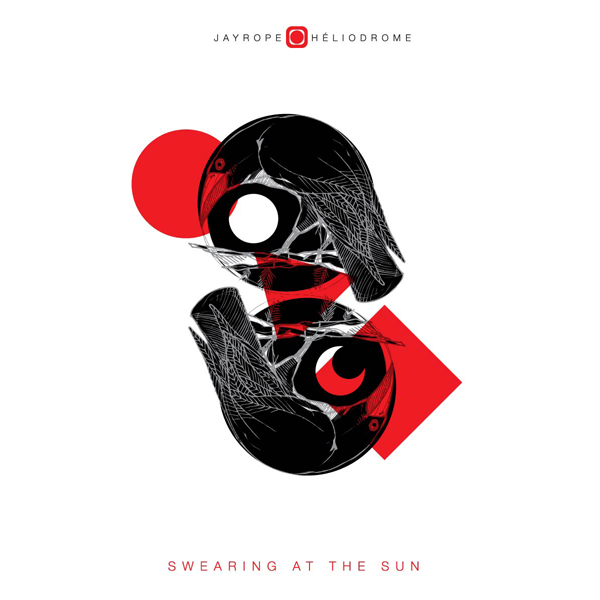 When Heliodrome arrived in Berlin in autumn 2009, they didn’t know what to expect. A French Canadian experimental rap band got in touch with Jayrope, a Berlin musician (Prinzenallee) and spent a few days together talking music while drinking beer. Jayrope and Heliodrome performed an improvised, last minute show and the recording lead to this release…Swearing at the Sun is a meeting between likeminded artists involved in hip-hop and beyond…you can hear the influences that sculpted their take on it; free-jazz, noise, experimental rock, crude electronics, psychedelic music…A particularly inspired evening.